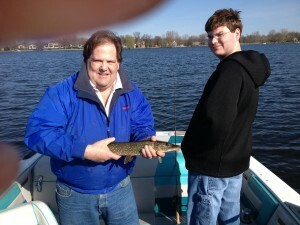 Nice shot here (er; please excuse the finger’s) of Uncle John and his nephew Matthew after John pulled in a respectable Northern Pike on last opening day. Unfortunatly, it wasn’t large enough to over take The Monster young Kinsley later caught to win the annual Stephens/Ward family trophy. You’ll get it next year John!